How do you know when your baby is tired? Recognising tired signs isn’t as obvious as you think it should be. Tired signs often get confused with signs of hunger and if you then feed again instead of putting your baby to bed. This can lead to a baby falling asleep during the feed which creates an undesirable sleep/feed association and an overtired baby. Get your baby into the EAT, PLAY, SLEEP routine to avoid this. 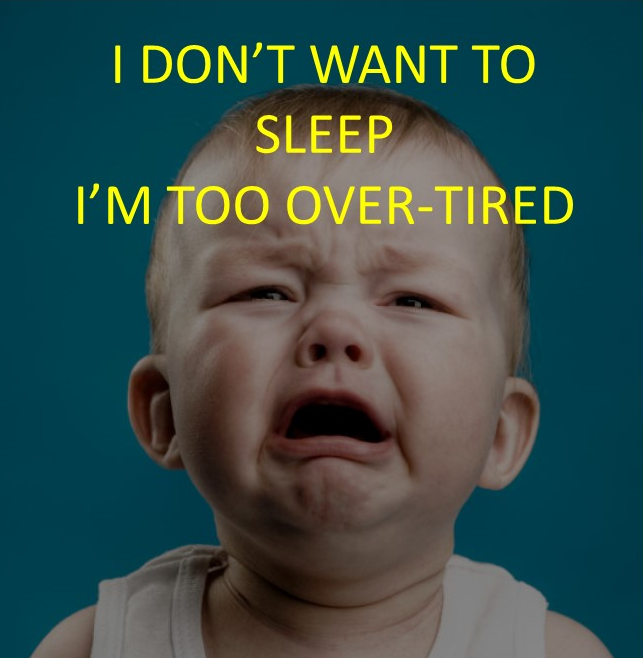 Recognising tired signs is important so you can get your child to bed BEFORE they become overtired. What can over-tiredness look like? How does over-tiredness affect your child’s sleep? Starting to sound too familiar? Guilty……I can put my hand up. For 6 months I was caught in the over-tiredness cycle with my daughter before we made the decision to have some sleep training. Sleep training can prevent over-tiredness, correcting your child’s wake time and getting your child on to an age appropriate sleep schedule. This ensures that your child is getting all the sleep they need..
Get in touch with me for a FREE 15 minute consultation. We can chat about what’s going on and get them on the right track with a routine that suits their needs.